NOKIA is the undisputed world leader in cellphone sales. but most of u.s in the us have no idea. why you ask? When was the last time you saw a Nokia commercial on TV or an ad in the paper? While the company’s rivals such as Apple(only a rival in the u.s and only at 19% marketshare here), Palm and Research In Motion(blackberry) have been competing to get more airtime for their products, Nokia has chosen to be more low-key in its approach. The result has been that the average American consumer doesn’t really lust for a Nokia phone. Nokia has bet big on the GSM standard for wireless communication, a move that had paid rich dividends in international markets. But in the U.S. the battle between the two standards still rages on, with the Verizon and Sprint networks using the CDMA standard, while AT&T and T-Mobile use GSM. For years, Nokia was the biggest supporter of the Symbian operating system. Last year the company put its money where its mouth is, and bought out its partners, making itself into Symbian sole owner. Nokia eventually turned Symbian into a non-profit foundation. 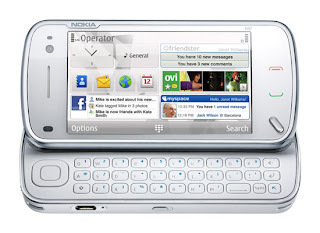 But Symbian is now seen by industry experts as a bloated OS that offers little flexibility and is just not ready the social networking generation. but can nokia make a comeback in the u.s.a?